Nelson Mason is delighted to be back behind the steering wheel of a racing car after being handed the second seat at Teo Martin Motorsport for the World Series Formula V8 3.5 championship in 2017, and repaid them with a strong debut drive at Silverstone on Saturday. The Canadian has been unfortunate with his career since racing in Formula 3, with a relatively poor season in the GP3 Series being followed by time out of the car though both injury and poor finances, but now he is delighted to be back doing what he loves to do – racing. “It’s a long time coming, it’s a difficult road,” said Mason to The Checkered Flag. 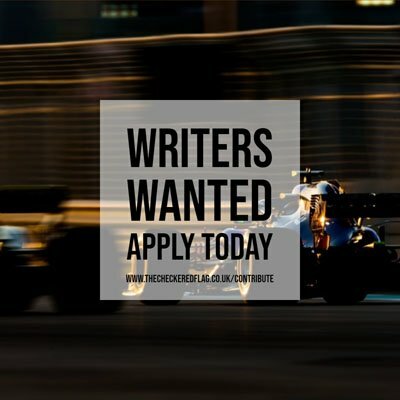 “You have a fantastic year in Formula 3 and then you have a year to forget in GP3, and at the end of the season I compressed my spine in Abu Dhabi, and that caused me to be out of the car, and finances caused me to be out of the car. Despite being only twelve cars on the grid in 2017, Mason believes there a good pool of strong drivers in the field, feeling that the majority of them can potentially be race winners this season. “We’ll see this season, obviously I’m truly excited to be here,” said Mason. “World Series was always my aim, it’s a little unfortunate the grid has shrunk a little bit. [However] I think the top eight/ten guys now would still be the top eight/ten guys when the grid was twenty cars. Mason was forced to sit out the first qualifying session of the weekend on Friday due to an issue with his racing licence back in his homeland, but everything came right on Saturday, allowing him to take to the track for second qualifying, with the officials allowing him to take to the grid for the first race despite his absence from qualifying. Despite this, he was able to move forward in the race to finish seventh, on the tail of fellow rookie Damiano Fioravanti, but well clear of team-mate Konstantin Tereschenko. This became sixth when Egor Orudzhev was disqualified, but the main thing Mason was happy with was being back behind the wheel, with praise going to his team for the professional way they go about their business. “Qualifying was a little bit of a shambles,” admitted Mason. “There were some issues with the Canadian ASN for reasons that are beyond all of us, we’re not sure still, but it is what is. I’m just happy to be back. “We were P3 in practice two, and it was on true pace, and I think on race pace today we were second fastest, so we’re moving in the right direction. Starting fourth tomorrow, I’m kind of hoping for rain to be honest, because I love the rain, but whatever happens, I love the car, the team is truly fantastic, they are one of the most professional organisations I have ever seen. To be given the opportunity to drive for them is beyond words. “Everything came together really late, [but] that’s really partially my fault. I would have loved to have done all the collective tests and be in a much better position coming into here, but we were still making the seat for practice one! Mason believes that the fact that he has been quick straightaway has given him confidence going forward, and he is hoping to take race wins with Teo Martin Motorsport sooner rather than later. “We’re quicker than I expected to be for the first weekend,” said Mason. “To be honest if I was the other guys to where we are already, I would be a little bit scared and checking my mirrors, so I’m quietly confident.